ACP YPN celebrated International Women’s Day 2016 – #IWD2016 – at the African Union mission to the EU in the morning, and at the ACP Secretariat in the afternoon, followed by an ACP cocktail dinner and live band. From left to right: Yentyl Williams, ACP YPN Founder & President, and Karen Owusu, ECOWAS EPA Expert. Yentyl Williams, ACP YPN Founder & President, reflected on her experience as a young professional woman and was pleased to see so many women seated at the table. However, she highlighted that today must not be an exception, women and men need to work together to ensure that there is more gender parity, and this must also involve greater inter-generational debate. She also expressed her desire to see more men engaged in the 2017 celebration, as well as a stronger inter-generational focus. The ACP Secretariat celebrated #IWD2016 with a series of speeches, cultural performances, including an ethical and suatainable fashion show and discussed the issue of gender parity in the context of Sustainable Development Goal #5. Under the theme “Women moving forward”, presentations – by Assistant Secretary General in charge of Political Affairs and Human Development Amb. Léonard Ognimba; Prof. Patricia Sellers, International Criminal Lawyer; Ambassador Dr. Len Ishmael of the Eastern Caribbean States, Ambassador Vilma McNish of Jamaica, and by Ms. Katalaina Sapolu, Director of the Rule of Law Programme at the Commonwealth Secretariat; President of the ACP Ambassadors’ Spouses Association, Mme. Lilian Leuelu of Tuvalu – emphasised the resilience of women around the world but also, the continued need to fight for gender parity. In this regard, UN Women-EU director Dagmar Schumacher underscored the importance of striving for “Planet-50-50 by 2030”,in other words, setting the ambitious goal of achieving global gender parity by 2030. The Celebrations continued with an exquisite selection of traditional foods from ACP countries. 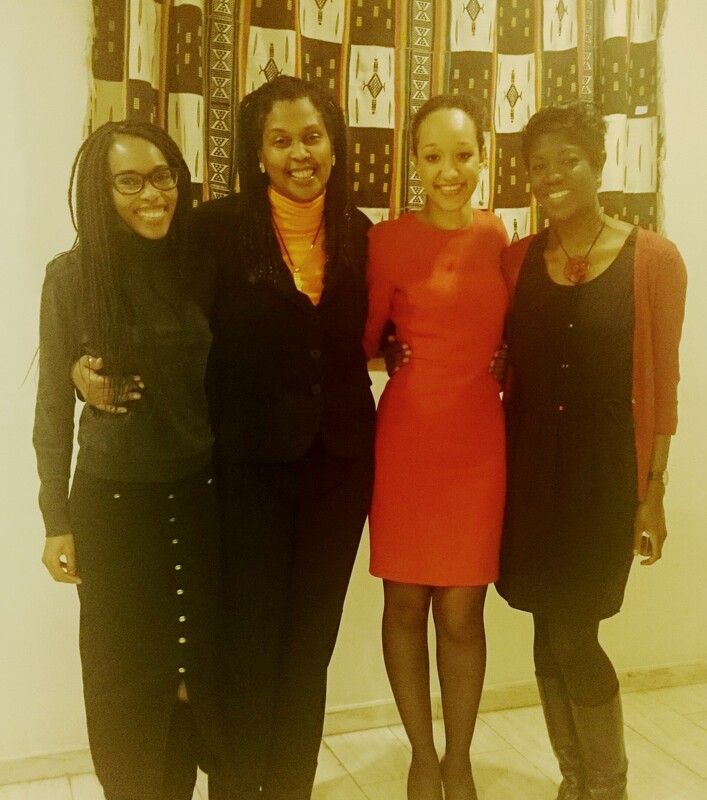 From left to right: Zama Nkosi, Europe Africa Public Affairs Director, Yentyl Williams, ACP YPN Founder & President, Dr. Natallie Corrie-Kordas, ACP Political Affairs officer and Vanessa Kabuta, International Development Expert. Here is the ACP press release and check out the full ACP photo album here. Check out ACP choir performing Bob Marley’s ‘No Woman, No Cry’ here. Check out ACP’s Political Affairs officer performing Bob Marley’s ‘Redemption song’ here.